P.S : Does it require a frame? LOL not really! 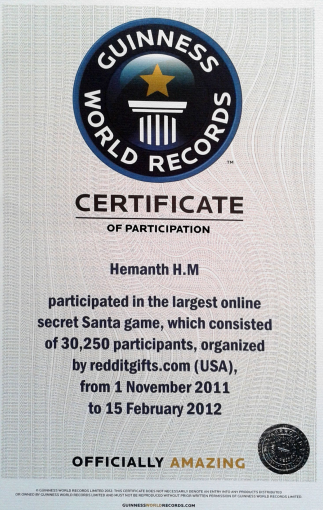 Finally all I can say is : "Made it into The Guinness Book! Thank you redditgifts :)"